Heads up business big spenders with regular business travel responsibilities: The Business Platinum® Card from American Express is made for you (American Express is a CardRatings advertiser). 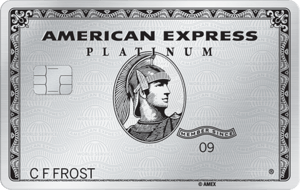 If you're familiar with the consumer version, The Platinum Card® from American Express (terms apply. See Rates and Fees), you know that it comes with some impressive rewards-earning opportunities as well as the kind of added perks and features that make discerning credit card customers sit up and take notice. The business version, The Business Platinum® Card from American Express, offers many of those same perks as well as a number of additional features that you would expect from a business credit card with a $595 annual fee. (Terms apply. See Rates and Fees). The Business Platinum® Card from American Express is rewarding right from the outset, giving big spending, business customers the opportunity to earn up to 75,000 Membership Rewards® points. Earn the first 50,000 points after making $10,000 in purchases and then earn an additional 25,000 points after spending another $10,000 in charges all within the first three months. You also earn five Membership Rewards® points for each $1 spent when you book flights and prepaid hotels via the American Express travel portal and one point per $1 on all your other purchases. You can also earn 1.5 points per $1 on each qualifying purchase of $5,000 or more for up to 1 million additional points each year. And The Business Platinum® Card from American Express also offers some impressive perks for travelers, including up to $200 each year in statement credit to cover incidental airline fees such as checked bag fees and in-flight refreshments on a pre-selected qualifying airline. Earn five points per $1 spent when booking flights and prepaid hotels through the American Express Travel website and one point per $1 on all other purchases. Earn 1.5 points per $1 on each purchase of $5,000 or more for up to 1 million additional points each year. Pay with Points on a qualifying pre-selected airline through amextravel.com and receive 35 percent of the rewards points back; receive up to 500,000 points back annually. Receive up to $200 in statement credit for incidental airline fees on a pre-selected qualifying airline. Boingo access via more than 1 million hotspots worldwide. If case you haven't noticed by now, the The Business Platinum® Card from American Express is offering plenty of features and benefits to justify that $595 annual fee. New cardholders can earn 75,000 Membership Rewards® bonus points by spending $10,000 for the first 50,000 points and then another $10,000 for the next 25,000 points on their new card in the first three months. That bonus could be worth more than $1,000 in flights depending on how your redeem you rewards (more on this below). This card gives you complimentary access to airport lounges around the world. Offset some of those travel expenses that add up fast, like checked bagged fees and in-flight refreshments, with up to $200 per year in airline fee credit with a pre-selected airline. The annual fee is substantial. If you don't expect to spend enough to offset the fee, you might consider a no-annual-fee travel rewards business card like the Capital One® Spark® Miles for Business . The very best feature of The Business Platinum® Card from American Express is that it knows it's an elite business card and it delivers the perks and features you'd expect it to. Sure, the annual fee is prohibitive for some business owners, but you do get quite a lot in return for the cost of carrying this card. Let's focus on the rewards features first. The Business Platinum® Card from American Express offers members the opportunity to earn five-times the rewards points when they charge air and prepaid hotel through amextravel.com. In addition, you earn one Membership Rewards® point for each $1 in eligible purchases elsewhere. And now you can earn 1.5 points per $1 spent on each purchase over $5,000 for up to 1 million additional points each year. Those rewards can be redeemed to cover business expenses, for travel or for any number of products and services. If you do decide to redeem your points for flights, you can make your rewards go further by booking on a qualifying pre-selected airline. The Business Platinum® Card from American Express card members receive 3.5 points back for every 10 points they redeem for flights on a qualifying, pre-selected airline or for any business- or first-class flight purchased through American Express Travel (up to 500,000 points back each year). While we're on the subject of travel perks, that is where The Business Platinum® Card from American Express truly earns its annual fee and appeals to the road-weary business traveler out there. First, there's the airline fee credit. You can earn up to $200 annually in statement credit to cover incidental airline fees – checked bags, in-flight meals, seat upgrades, etc. – on a qualifying airline that you select (the same airline that you'll earn 35 percent of your points back on when you redeem). You'll be able to change your selection each January if you want. If you take advantage of the full credit, you effectively lower the annual fee from $595 to $395 just by utilizing this one perk. Furthermore, the welcome offer opportunity could be worth more than $1,000 in flights thanks to that 35 percent points back option, which means the welcome offer alone could offset your annual fee for nearly two years. A couple of fees you WON'T be paying with The Business Platinum® Card from American Express are airport lounge access fees and Wi-Fi access fees. That's because The Business Platinum® Card from American Express cardholders enjoy free access to hundreds of lounges through The American Express Global Lounge CollectionSM, as well as access to more than 1 million Boingo hotspots worldwide. Oh, and The Business Platinum® Card from American Express also reimburses you once every four years for your TSA Pre✓® or Global Entry application fees, and that credit is available to each cardholder on the account meaning your employees can also take advantage. All these fees you AREN'T paying go a long way to offsetting the seemingly steep annual fee. Moving on, The Business Platinum® Card from American Express cardholders are also eligible to enroll in complimentary Marriott Bonvoy™ Gold Elite status and Hilton Honors Gold status. While each program comes with its own set of perks and features, suffice it to say you'll enjoy VIP treatment and discounts at the respective hotel properties when you enroll. The Business Platinum® Card from American Express comes with no pre-set spending limit and functions as a charge card, not a credit card, which means you'll need to pay off your balance in full each billing cycle (some cardholders could be eligible for a pay-over-time feature). That's actually a good way to keep your business spending under control. 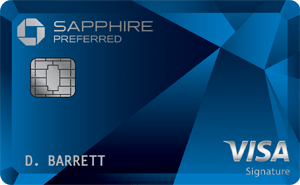 And the card's welcome offer of up to 75,000 Membership Rewards® points after spending $10,000 in purchases (50,000 points) plus an additional $10,000 (25,000 more points) in your first three months of membership, is sure to get you off on the right rewards-earning foot. Just in case you didn't assume as much, you won't be paying foreign transaction charges with The Business Platinum® Card from American Express, so it's a solid business travel option whether you're staying in the U.S. or headed abroad. Obviously, the $595 annual fee is something to consider with this card. Many business owners, especially those just getting their businesses off the ground and counting every penny poured into building the business, would likely benefit more from a business rewards card with a lower annual fee. You can always upgrade later. It's also important to note that this is a charge card, not a credit card. That means that all charges made on the card must be paid in full when you receive your periodic statement. Pay late and you'll incur a late fee of $38 or 2.99 percent of any past due, pay-in-full amount, whichever is greater. If you anticipate needing to carry a balance at any point, you'll want to look for another card. You won't get the platinum-level of perks with the Ink Business Preferred℠ Credit Card, but you also won't be paying that sky-high annual fee. Ink Business Preferred℠ Credit Card cardholders earn three times the points on up to $150,000 annually in select business categories including travel; shipping costs; Internet, cable, and phone services; and advertising purchases made with social media sites and search engines. You'll also earn one point per $1 on all your other purchases, and all of this comes with just a $95 annual fee. Those points are Ultimate Rewards® points which are quite flexible, so that is certainly a perk. Still, you'll be missing out on the fee credits and other luxury perks offered by The Business Platinum® Card from American Express. If you're a business traveler who wants the rewards for that travel, but can't justify the annual fee of The Business Platinum® Card from American Express, the Ink Business Preferred℠ Credit Card is a solid option. The Capital One® Spark® Miles for Business credit card offers you the simplicity of a flat-rate rewards card and the perks of a travel business card in one. With an annual fee of $0 intro for first year; $95 after that, you stand to easily offset that fee after year one with the two-miles-per-$1 spent on all your purchases rewards. Miles earned with your Capital One® Spark® Miles for Business can be redeemed for travel without any blackout dates or seat restrictions. There are additional redemption options, such as cash back and gift cards, available as well. Note the welcome offer: Earn a one-time bonus of 50,000 miles when you spend $4,500 in the first three months of opening your account. That said, if you appreciate some added creature comforts when you fly for business, Capital One® Spark® Miles for Business won't necessarily put those at your disposal like The Business Platinum® Card from American Express does, but you will also only pay a $95 annual fee. Frequent business travelers who appreciate some added comforts when they travel and can offset the hefty annual fee with the rewards they earn are ideal candidates for the The Business Platinum® Card from American Express. If the added travel perks don't mean that much to you, you might want to consider another business card with higher rewards-earning potential. For rates and fees for the American Express cards mentioned in this post, please see the following links: The Business Platinum® Card from American Express (See Rates and Fees); The Platinum Card® from American Express (See Rates and Fees).